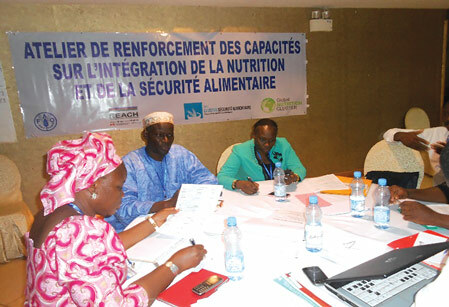 The Malian Government’s commitment to respond to malnutrition in a sustainable and multisectoral manner has been manifested in its explicit recognition of the collective role and responsibility of all sectors in improving nutrition, especially the agricultural and social sectors. 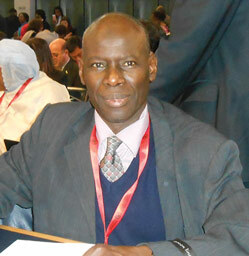 Modibo Diarra, Nutrition Focal Point of the Ministry of Health and Public Hygiene and Government Focal Point for SUN. Despite numerous challenges such as low productivity, post-harvest losses and difficult climatic conditions, Malian agriculture has seen strong growth over the last decade. This includes a strong increase in cereal production, although outpaced by demographic growth, as well as an increase in the output of rice production zones, from 2 to 6 tons/hectare between 1988 and 2008. Between 2000 and 2013, rice production rose from 742,808 to 2,211,920 tons; maize production rose from 214, 548 to 1,502,717 tons and millet production rose from 759,114 to 1,152,331 tons. However, surveys have revealed that the largest agricultural production zone in the country is that in which the malnutrition rate is highest, while certain regions remain dependent on food aid, which may mean that agricultural outputs have a limited impact on the nutritional status of the population. 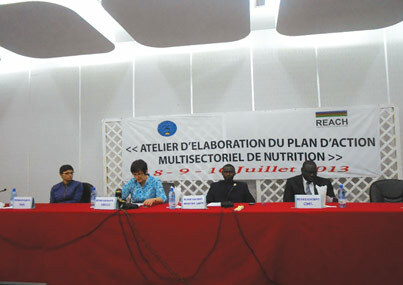 In this regard, the Malian Government’s commitment to respond to malnutrition in a sustainable and multi-sectoral manner has been manifested in its explicit recognition of the collective role and responsibility of all sectors in improving nutrition, especially the agricultural and social sectors. The Strategic Framework for Growth and the Reduction of Poverty (CSCRP 2012-2017) emphasised food security and nutrition as priority intervention areas. The National Nutrition Policy, adopted by the Government in January 2013, was operationalised in the form of a Multi-sectoral Nutrition Action Plan (2014-2018) with the technical and financial support of the Renewed Efforts Against Child Hunger initiative (REACH). It was developed by more than 100 representatives of ministries, technical and financial partners, civil society and the private sector between July 2013 and April 2014, and adopted on 5 June 2014 before being costed at $605,238,299 over 5 years. Comprising 14 strategic pillars, it involves the Ministry of Health, the Ministry of Rural development and Food Security Commission, but also the Ministries of Education, Social Development, the Promotion of Women, and Communication. Social security measures are mainstreamed into all the strategic pillars. The Ministries of Rural Development and Social Development are particularly associated with guidance under pillar six: ‘small-scale family food production and social transfers’, which has been broken down into seven priority activities (actions targeting beneficiaries, promoting rural development and food diversity, and building the capacities of agricultural cooperatives and collectives). Therefore, the family production component must enable not only food production and consumption to diversify, but also household revenues to improve, boosting women’s independence. The Ministry of Rural Development is responsible for popularising improved seeds, promoting proximity irrigation around high nutritional value cash crops and supporting the integration of agro-pastoral activities within families, while the Ministry for Family is responsible for promoting land access and land security for women in rural areas. By acting on household revenues, the ‘social transfers’ component addresses the underlying causes of malnutrition, such as lack of access to varied foodstuffs and lack of access to health care, etc. The Ministry for Social Development is responsible for social transfers intended to improve the nutritional status of households by addressing not only food but also hygiene and sanitation, or by supporting the creation and promotion of local organisations involving women and young people. The cost of these activities (around $50,000,000 over five years) represents 8.27% of the total cost of the Action Plan. The Ministries of Rural Development and Humanitarian Action are also associated with guidance under the twelfth pillar: ‘emergency readiness and response’, which promotes integrated actions and for which 10 priority actions were defined. The Ministry of Rural Development is responsible for raising awareness regarding food and fodder stock management at the end of warrantage (a credit system guaranteed by a stock of agricultural products liable to change in value over time), protecting pasture land and water sources and monitoring meteorological phenomena and the state of agricultural, forestry and pasture land. The Food Security Commission, is responsible for sending in multidisciplinary teams to assess the situation upstream or downstream of catastrophes, distributing food and ensuring that agricultural products are sold at reasonable prices. The cost of these activities (around $29,000,000 over five years) represents 4.85% of the total cost of the Multi-sectoral Plan. The explicit integration of nutritional objectives into the Agricultural Development Policy (PDA) and into the 2015–2025 National Agricultural Sector Investment Plan (PNISA) shows a clear recognition of the contribution of the agricultural sector to the fight against malnutrition. Therefore, the first of the eight strategic guidelines of the Agricultural Development Policy (PDA) developed in 2013 targets ‘the food and nutritional security of the population correcting shortcomings by diversifying agricultural production’. In addition to the range and diversity of food products, it also mentions processing and conserving these products, as well as sustaining the incomes of small producers. Reducing food dependence by limiting imports is also one of the essential objectives of the PDA. The food security component of the 2015/2025 National Agricultural Sector Investment Plan is currently being drafted with a view to operationalising this policy. 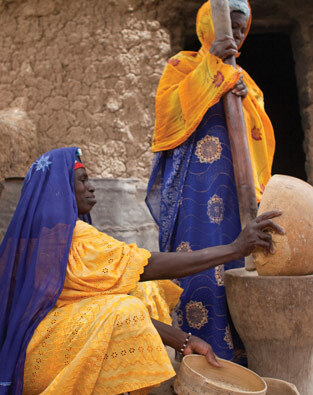 In 2013, in association with the Government, the United Nations and NGOs, the FAO implemented a project to improve the means of subsistence for 5,600 households that have moved back north (Timbuktu Zone), so that they might develop their cereal and vegetable production and enrich their diet, particularly with fresh vegetables. 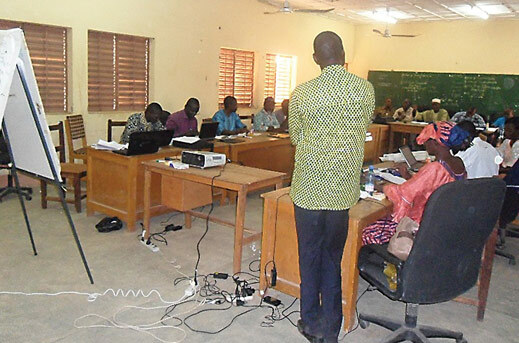 Community liaison officers were given free access to training sessions on best practice in irrigated vegetable and rice farming, nutrition and associative and cooperative life, at which presentations were made of nutritious recipes. The community liaison officers also distributed raw materials to the families (cereal grains and seeds: millet, sorghum, maize, rice, wheat, etc., vegetable seeds: onion, okra, tomatoes, cucumber, cabbage, etc., as well as fertiliser, diesel and small hardware items). 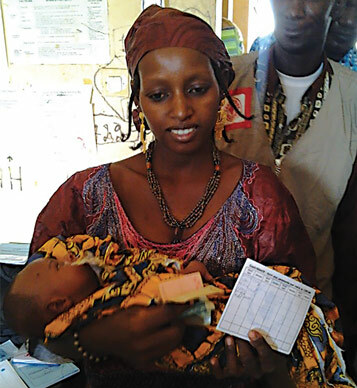 More than half of the project’s 35,000 beneficiaries are women and girls, and the abundance of documentation (nutrition kits, educational posters, image box) makes it possible to duplicate the project. 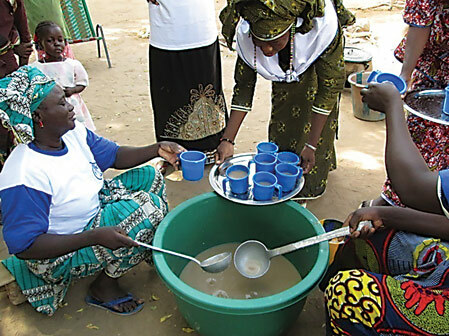 The World Bank has been financing an emergency social safety nets project since 2013, which provides money transfers for households in situations of food insecurity, so that they can increase their food intake sustainably and improve their capacity to endure difficult times while supporting and protecting the human capital of their children. This project must also integrate preventive actions relating to supplementing micronutrients and vitamin A and nutritional awareness-raising activities until 2018, and lay the foundations of a national social security system that is also able to protect vulnerable populations in times of crisis. A solid institutional social security policy framework is needed in order to set up a system of social networks. Sustainable strategies to support households suffering from chronic food insecurity require, among other things, regular money transfers for periods of between 24 and 36 months. Information and technology systems can clarify strategic decision-making. Populations must be carefully targeted. In the context of the Food Security and Nutrition components, a capacity-building workshop brought together 40 participants from the Government and national and international NGOs. It was an opportunity to build stakeholder capacities to integrate nutrition more effectively into food security and emergency resilience programmes, therefore improving the nutritional status of the populations. An analysis is identifying available funding and financing shortfalls according to budgeting under the Multi-sectoral Action Plan. This analysis will give a better understanding of the resources available to the Government and the various players, in order to estimate financing needs and shortfalls for the next five years. The government has asked REACH to organise a Government and donor round table to make use of the above results. This will enable the Government and partners to identify priority actions and the financing available, and to improve planning for the next five years. A nutrition coordination cell is in the process of being created under the Minister of Health. This cell will have a political and technical role in order to ensure that nutrition remains a multi-sectoral issue and that the Multi-sectoral Action Plan is adhered to. The REACH partnership will provide technical and financial support for this cell. 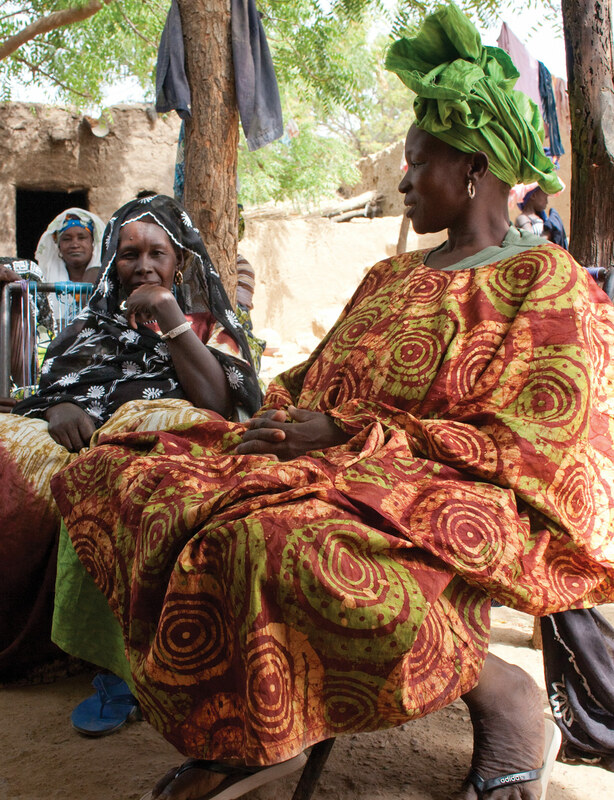 Mali promotes decentralisation and local experimentation. With the support of the European Union, UNICEF and Cornell University, it is experimenting with operationalising plans at district level, via consensual models aimed at bringing stakeholders to an agreement on how to work together, through the common planning of consortium activities, integrating nutrition indicators and establishing monitoring and evaluation committees to advise the local authorities. It is essential to have a sustainable coordination structure to oversee implementation and play a technical but also a political role. The NGO OMAES (Œuvre Malienne d’Aide à l’Enfance au Sahel [Malian Child Aid in the Sahel]) was designated as an official SUN civil society alliance in Mali. Through the NGO OMAES, civil society has the role of organising advocacy campaigns to get decision-makers to engage and recognise the sectors that are key for improving nutrition, especially agriculture and social security. Civil society has updated PROFILES, which is an advocacy tool which highlights the consequences of malnutrition for a country’s health, education and economic prosperity. PROFILES will be presented at the National Assembly and in the regions (regional governors and directors). OMAES foresees training civil society stakeholders, including traditional communicators, on the use of PROFILE to help them take the campaign for nutrition to the general public.